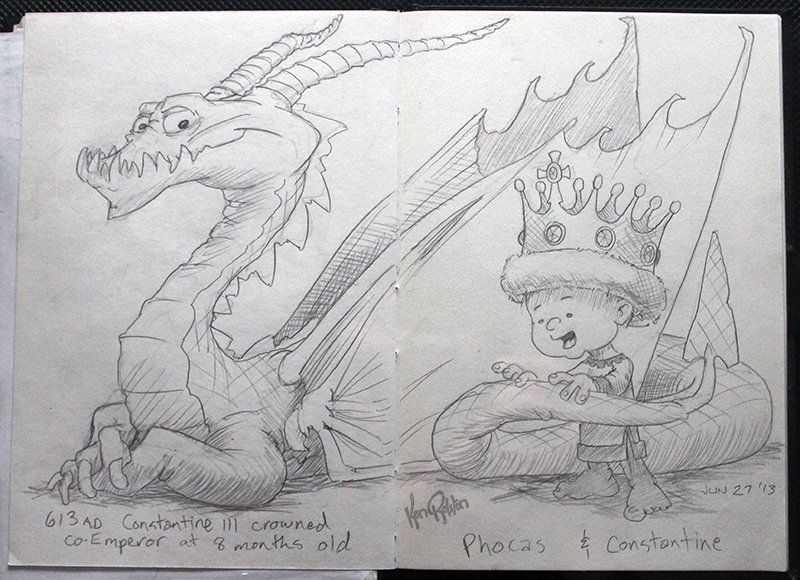 Dragon 564 – The young Constantine III celebrates his betrothal by playing with his favourite dragon, Phocas. In 613 AD Constantine III was named co-emperor at 8 months old. Later that year, he was betrothed. He didn’t actually marry his betrothed until much later…it was a very long engagement. This young ruler actually lived to father a son, unlike a few other young leaders that will be thrust into power before their teens within the next decade or two…we’ll see a few of them here over the next few drawings.